How Did This Traffic Light Slip Under My Radar? 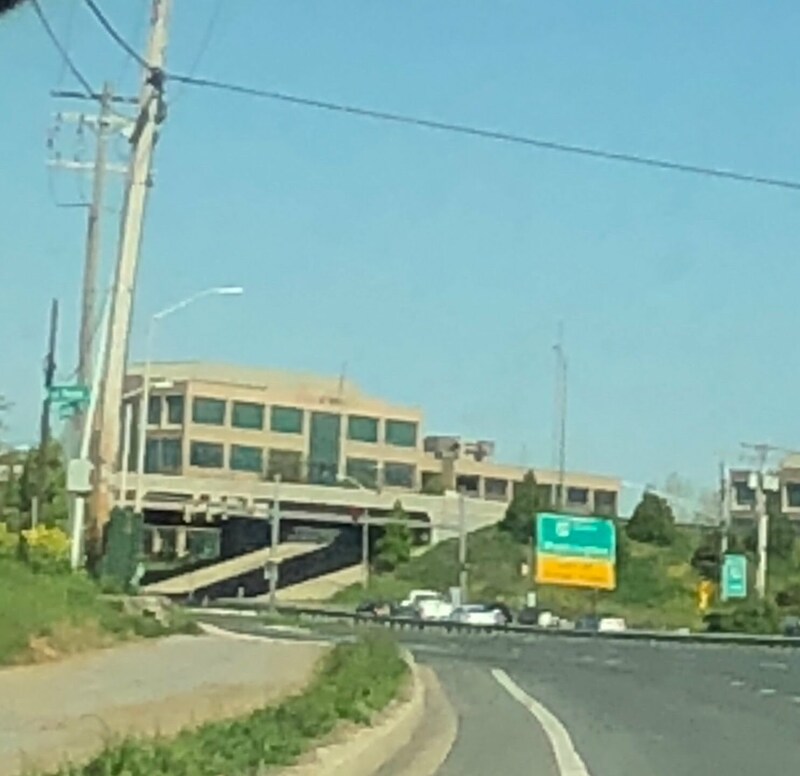 When I took these couple of photos on July 25th, I kind of figured out that the bus stops located on either side of Old Columbia Pike were getting platforms and probably lighting. I did not come to understand, until today, that a full-blown traffic light was getting installed. 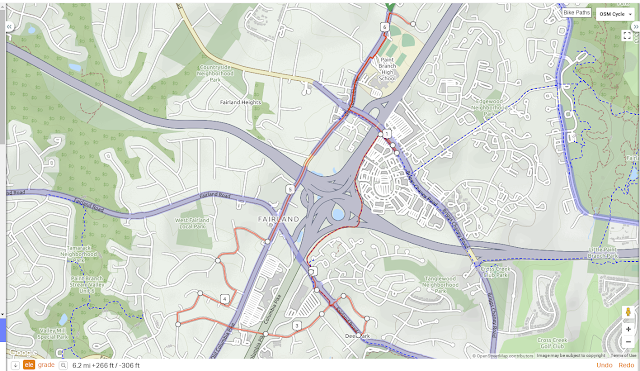 Living less than a 1/4 mile from this "new" traffic pattern, I'm shocked that I had no previous knowledge of the plans. In my experience with any of the DOTs in the region, getting a request to completion usually takes a mound of paperwork and years of persistence. I have no opinion on the light location itself, as it wasn't even something I considered on this section of road. I can't believe that the neighborhood, community, and regional interest groups were not involved in the development of the design for this traffic light. As you can see from the first photo above, the southbound shoulder is now blocked by a raised bus platform. This is great for people waiting at the stop, but now bicyclists must move out in to traffic at this intersection. If the design was put forth for public comment, I certainly would have asked for the platform to be moved back off the shoulder to leave room for bicyclists, especially during commute hours. Finally, I'd like to know why this light became necessary. 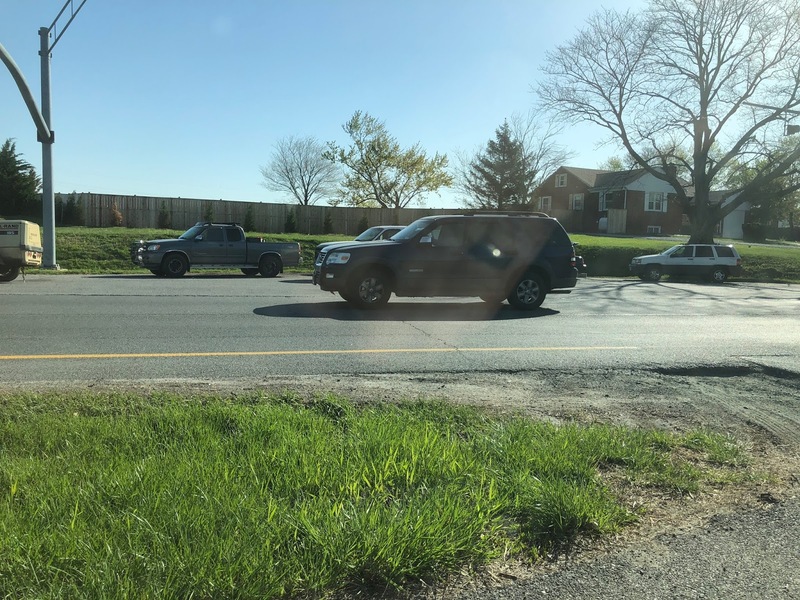 At the trail crossing of the Matthew Henson trail at Viers Mill Road, multiple people were killed and yet it still took a strong, active community quite some time to persuade SHA to move forward with a better crossing option. Newspaper articles were widely written, advocacy letters distributed, but that was not the case with this traffic light. (http://www.waba.org/blog/2016/07/matthew-henson-trail-crossing-at-viers-mill-road-is-still-deadly/) So what was the justification for this light? Who requested it, and what community backed it up? Why did it get installed without local community input? I would like to see documented and consistent processes in Montgomery County and the State of Maryland. Transparency will lead to better ideas and community involvement. 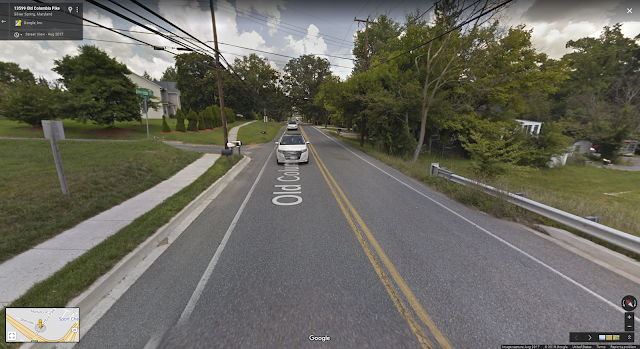 The only semi-safe route available along MD-198, and it's blocked! It's bad enough that this path along MD-198 doesn't connect all the way to Cedar Tree Rd, stopping at Dino Dr. Now there is construction that appears to be daily now and constantly blocking the only shared use path my kids and I would like to use. The path (shown below) west of the construction connects to the Downtown Burtonsville area and considering the basically non-existent shoulder, speeding cars (rarely enforced along this stretch), and groups of motor vehicles jockeying for position as they leave the US-29 intersection by cutting around each other in the right hand merge lanes, I have no place to safely ride along this stretch of road. 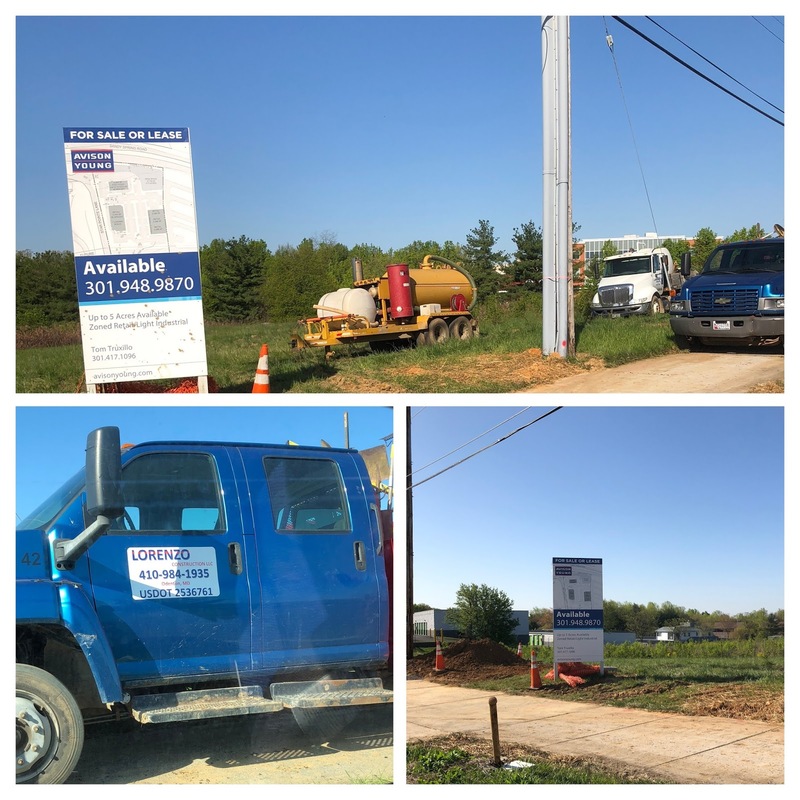 The Lorenzo Construction LLC appears to be doing the construction (410-984-1935) but unfortunately, feels the need to park their vehicles on the path. The road at this point is essentially 5 lanes, with the merge lane ending. It would be simple enough to put up cones and block the end of this merge lane without blocking the path. It would not cause any problems for traffic either. 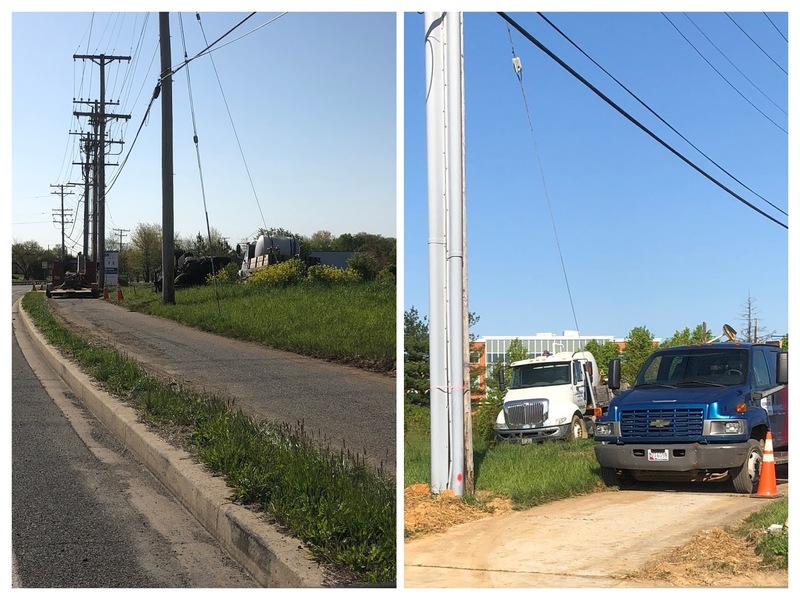 Additionally, it appears Lorenzo is also doing some construction at the U-turn at Dino drive where they are parking all their trucks and filling the U-Turn extension that I believe was put there to allow larger trucks the ability to make the U-Turn. I would love to see a better policy created and adhered to prevent blocking of sidewalks and paths for vulnerable road users. Those walking and biking have no choice. Vehicles have 5 lanes of options. Please keep the sidewalks and paths open whenever possible.